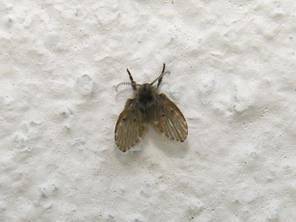 Sewer flies are also known as moth flies, filter flies and drain flies. They have small bodies and wings are covered with grayish, long hair which makes them look like moth and gives them a fuzzy appearance. They hold their wings pointed roof-like over their bodies when they sit. They can fly too well. Adult sewer flies feed on liquids such as nectars, fruit juices and sugars. Larvae feed on organic material and bacteria present in gelatinous substances found on the walls of drainpipes and sewer chambers. Sewer flies usually breed in areas that have moisture and is scattered with organic debris. 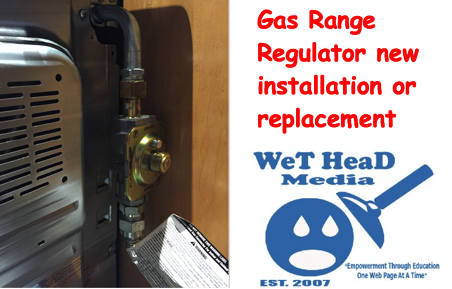 They can be found in places like air conditioners, shallow stagnant water pools, sump pump pits, washing machine, sinks and tubs. Adult flies can enter homes through the drainpipe openings of kitchen sinks, toilet sinks, and bathtubs. You can place a trap for the sewer flies next to the place where they have their nest. You can fill up a jar with sugar, white vinegar and water. You can add several drops of liquid soap. The flies now will be attracted to the sweet smell of sugar, white vinegar but will get stuck in the soapy water. This method is very effective to get rid of adult sewer flies. Next step would be to take a pipe brush and a plumbing snake which is atleast 7 feet long. You need to remove the residue comprised of soap scum, hair and grease. It is not a pleasant job at all since you will need to remove the rubbish into a garbage bag. Once the rubbish is cleared, run water from the pipes and then turn off the water. A plunger should be placed tightly over the opening of the drain. Then the drain should be plugged with a fiter rubber plug and then pressed tightly on the plug so that it does not burst out. 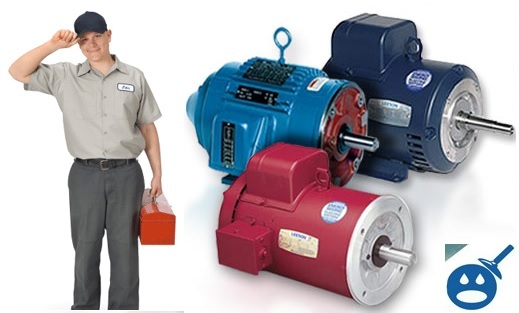 Once the above step is over, the plunger should be thrust forcefully several times squeezing out any water or organic material that may be adhering to the pipe walls. When the plunging is over, pour boiled water down the drain. This will dispose of any debris which is disturbed by the plunger. One can also get rid of sewer flies in another method. The drain must be covered with duct tape. A small section should be left uncovered so that the flies that can fly. The tape should be inspected daily and should be thrown away when the drain gets filled with adult sewer flies. Pour ice cubes into the garbage disposal. Turn the disposal bag and use it to break the ice. The ice helps to loosen up the sludge in the drain. After the above, insert a long handle steel brush into the drain. Scrub the interior of the drain with the brush so that organic material gets removed. Boil a pot of water and slowly pour it on the sides of the drain to remove the sewer flies. Pour a commercial sewer cleaner into the drain. Select a cleaner that breaks down organic material. Aerosols can also kill sewer flies that are adult but the larvae must be removed as well to reduce the sewer fly infestation. You can also place disposable cups at the openings of the drain pipe openings. The emerging sewer flies will get collected in the cups. The drainpipes in the bathtubs, toilets, showers should be cleaned regularly so that the sewer flies do not get the chance to breed. You can also wooden sticks to that have flagged margins to remove the organic material stuck on the walls of the pipe. Commercially available bacterial gel or digester can be used to stall the formation of gelatinous material in the drainpipes. The above methods are very effective and will help you to get rid of sewer flies. Following the guidelines above will help you to maintain a healthy environment in your home. I know I have an infestation of sewer flies. We have a sump pump in the front of the house. When it leaves it joins a second one out side in a pvc “Y”. That “Y” broke and it was recently fixed. The repair had thousand of flying insects outside from the standing water. Once that was “Y” was fixed we thought the problem was fixed. I understand the instructions on this page. But we also have stagnated water in the pump pit. I order the DF5000. How do we accomplish an eradication? Thanks for the assistance. Hi,I check your blogs named “How to Get Rid of Sewer Flies | Wet Head Media” daily.Your writing style is awesome, keep up the good work!